Ginger has been taking over my life even more than normal, but I did get to watch a movie the other day...The Limehouse Golem. Not sure about you, but I'm a fan of period pieces, especially late 1800s London, they don't necessarily have to be horror, but the grimier the better! Think From Hell, Penny Dreadful, Sweeny Todd, and Bram Stoker's Dracula. 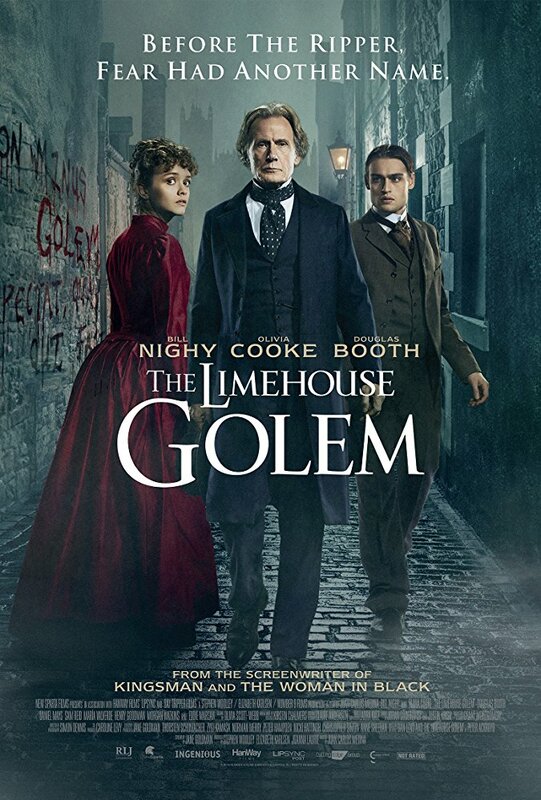 I watch them for the fashion mostly, but The Limehouse Golem was entertaining as well! I don't want to give too much away because there is actually a plot twist unlike Hereditary, but I'll give you a summary. As a viewer you are thrown into the movie starting at the end. There's the death of a husband named John Cree and Scotland Yard is investigating. Just like the audience steps into a murder mystery, Inspector Kildare, played by Bill Nighy, takes over this murder case. (I love him in Shaun of the Dead and Underworld). We are trying to figure out who killed Cree along with ~ possibly ~ linking it to the Limehouse Golem. The story unfolds and the suspects are mounting. We see the history of the characters, and go behind-the-scenes of stage performers in music halls during that time period. There are so many shady things going on behind closed doors it's fascinating! Many of the characters are supposed to be real people too, i.e. Karl Marx and Dan Leno are the big names depicted. In the final scene we get a plot twist. It makes sense with the most recent Jack the Ripper theory, but I'm not going to give it away. The acting is great and it's plenty gruesome and bloody. I give it 4 out of 5 blood stained gowns.